Should You Remove Backlinks to avoid Penguin Penalty? Google Panda and Penguin have been some of the most infamous algorithmic updates Google has ever made. They have effected tonnes of websites and blogs, and are still working to devour any website with malpractice that comes their way. We have many times discussed about how to avoid penalty from such algorithm updates. And in them, we have talked a lot about Google's interest in you links, out bound and incoming both. It's common knowledge that Google is now concentrating a lot more on the quality of the links than on the quantity. So a common question easily arises: If you are hit by a penalty, does it help to remove your backlinks? It's widely conceived that Google not only rates your incoming backlinks, but also your outgoing backlinks. If either of those are low quality, then Google delivers a penalty. Well, this is quite correct. Google is a lot touchy about quality these days. But will removing your backlinks life the penalty? First thing's first, it's important to establish whether you've been penalized or not. Strictly speaking, Google Panda and Penguin are algorithm updates. This means that with them, Google changes the way it rates and ranks websites, and how it perceives links. While minor updates are of no concern to webmasters, it's the major overhauls that derail a traffic. But when this happens, it's actually not a penalty. A penalty is when Google takes some manual action against your site. These updates just make Google take a different route, and your website might not be near that one. But that doesn't mean you've been penalized, you've just been side-stepped. To check whether you've been penalized, you should consult with SEO forums, such as SEOchat, to see if Google has rolled out any update. If that happens, you will have to adopt a different strategy from when you've been penalized. Recommended for you: How To Recognize SEO Over Optimization Which Causes Penalty? Is removing backlinks the way to go? If you've been penalized, then you will find your Webmaster Tools filled with messages containing information regarding the violations on your site. Start with those first. If there is a message about linking out too much, then you should remove them at once, and file a reconsideration report. A lot of the times, it's about the backlink ratio. Giving out too much backlinks while having a very few in returns is one way to catch Google's attention. If you've been hit by an update, but you have a reasonable backlink ratio, then you might look into other stuff. Otherwise, you can start removing those links now which you think are low quality. 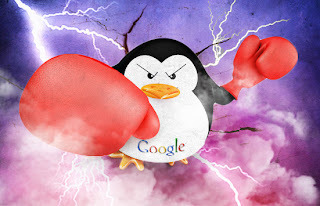 Recommended: How To Recover From Google Penguin Update Penalty?